HealthyCare provides a web app for complementary care-based digital health programs for people with diagnosed medical conditions. 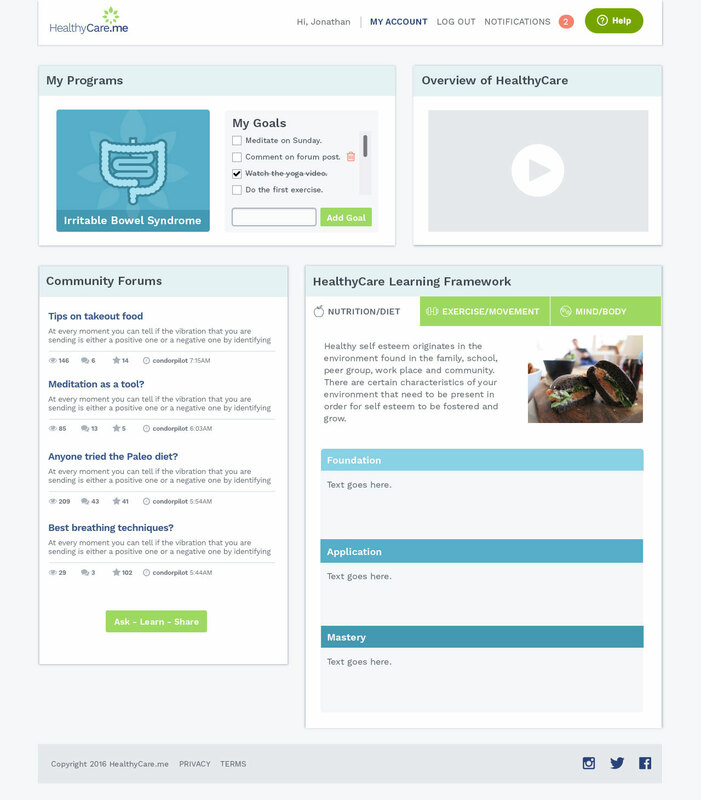 The app dashboard provides a launching pad to navigate into the user's care programs, connect on forums and receive timely alerts on their specific medical conditions. "While I can offer many compliments to Eric, the results from my website tell the whole story. It receives great reviews from my patients and generates new business on a consistent basis."